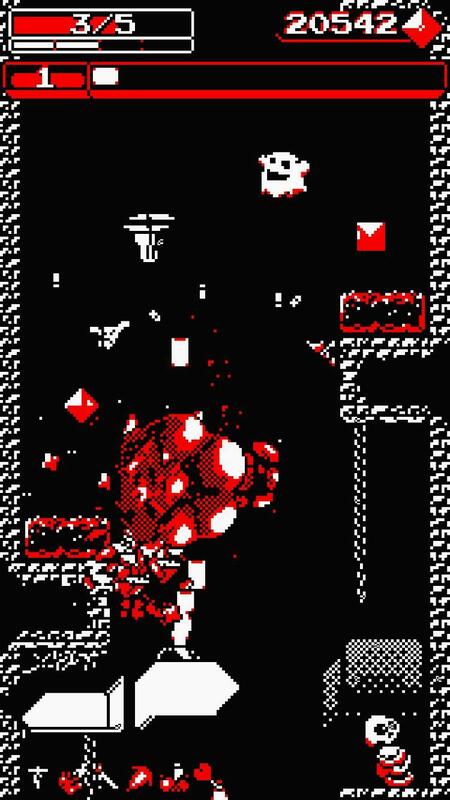 Downwell hit Steam and iOS last year, and the developer has been working on an Android release for a while now. 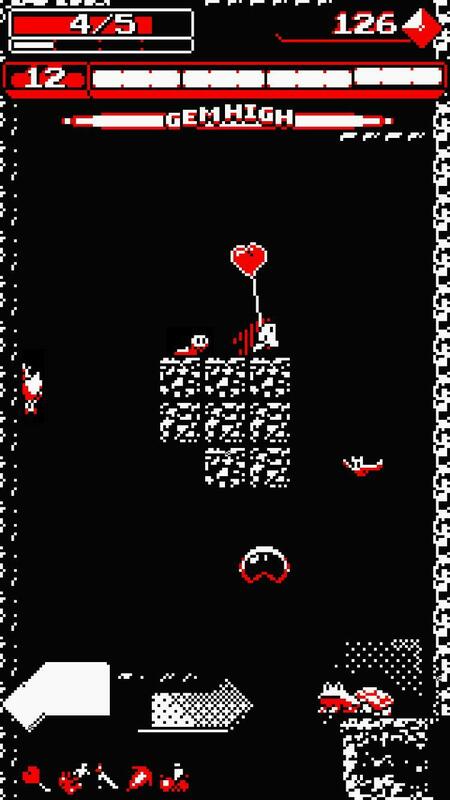 You might not expect it from the pixelated screenshots, but Downwell has been collecting plenty of accolades from players and critics thanks to its tight platforming and innovative gameplay. 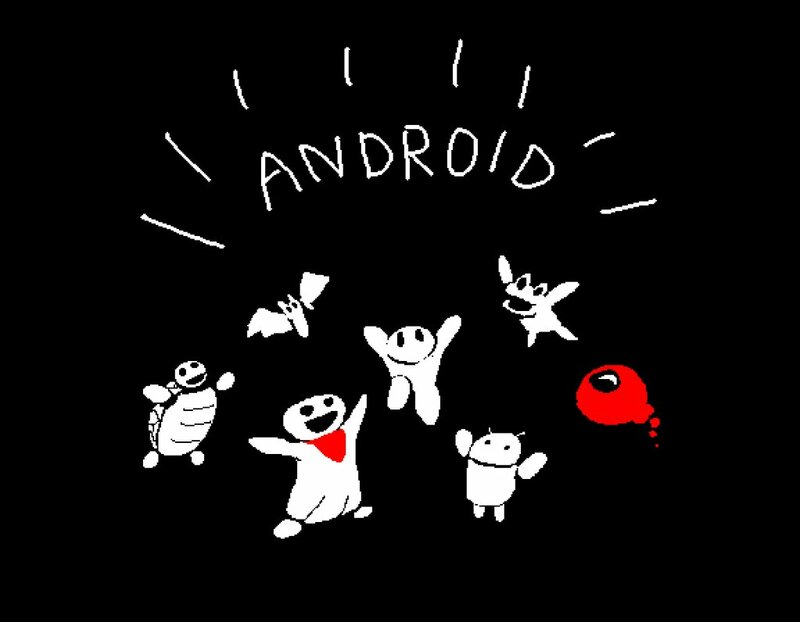 At long last, the Android version is here. 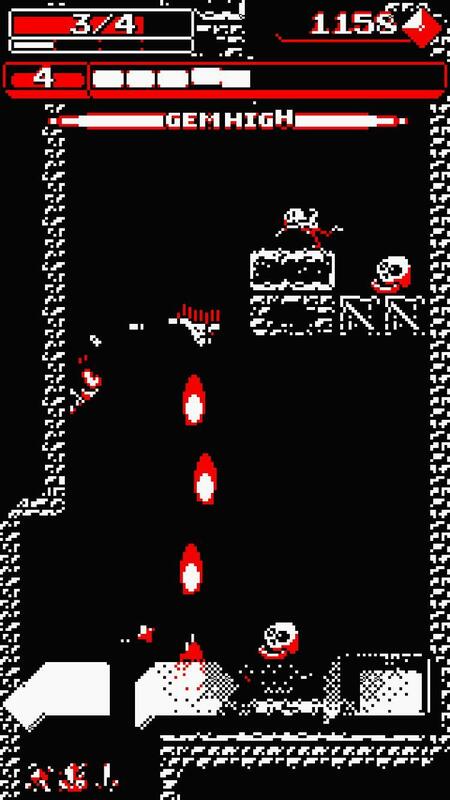 The gist of Downwell is that you're falling down a well filled with monsters, but also treasure. 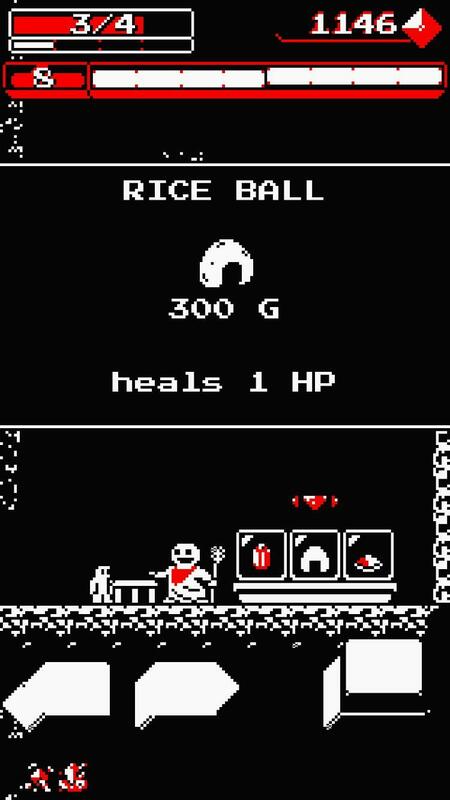 You want to kill the monsters and collect the treasure, and to help you do that, you've got gunboots. They are exactly what you think—boots with guns in them. As you fall, you can fire off bullets downward to blast through obstacles and enemies alike. Each time you land, your ammo is reloaded. This game has a few roguelike aspects, including a steep learning curve. You'll die a lot, and when you do it's back to the beginning with you. You can improve your character a bit, but you only have a few hitpoints, Luckily, the well is randomly generated every time. 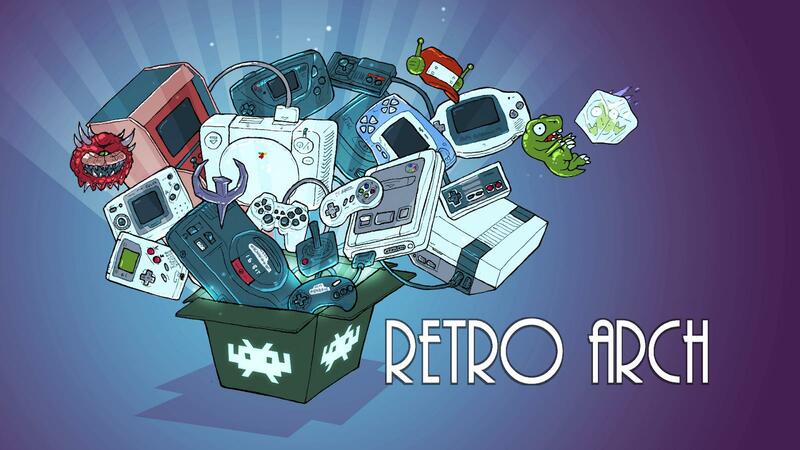 I will admit the very simple graphics led me to question the hype for this game at first, but it's surprisingly fun.